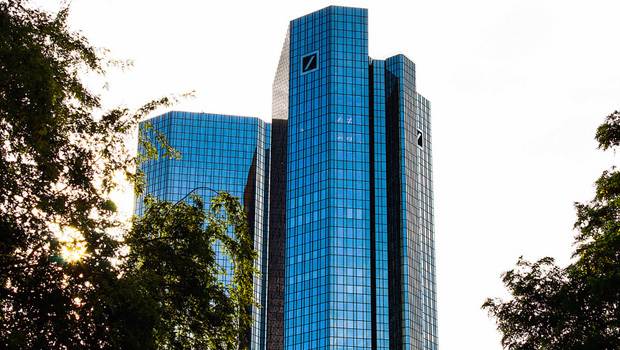 NEW YORK A former employee is suing Deutsche Bank (DB), saying he was fired in retaliation for raising questions about problems with the bank's systems and charges that were erroneously slapped on some customers as a result. Gary DeDilectis, who worked in operations, filed the lawsuit against the bank Wednesday afternoon in U.S. district court in Manhattan. Deutsche Bank said in a statement to CBS MoneyWatch that the company investigated the allegations and found them to be without merit. According to DeDilectis, he was fired in January 2012. The bank refused to give him a reason, he says, though he asked multiple times. DeDilectis says that around August 2010, he noticed operational problems plaguing the bank. Among them: The bank failed to invest adequately in its systems, causing outages. As a result, paper statements were sometimes mailed to the wrong address or the wrong customer, and the bank failed to keep money for its own trading separate from customers' money, he says. Sometimes, DeDilectis says, the bank couldn't reconcile its accounts: One 24-hour outage resulted in a $6 billion discrepancy between the previous day's account balances and "undetermined" transactions. Just before Thanksgiving 2011, a systems upgrade over the weekend caused about $1 million in overcharges to customers. DeDilectis claims those customers were never notified. In an email message, Deutsche Bank said that a "settlement system enhancement" was to blame for the miscoding of a "small number of client transactions." "As a result, monies were inadvertently withheld on certain tax-exempt transactions and deposited with the UK Inland Revenue Service," said the bank. "Deutsche Bank has been working with clients to rectify the situation." DeDilectis said he became "increasingly vocal" about his concerns, and "repeatedly informed" his managers and others about problems he saw, communicating via email, phone calls and in person. His concerns were ignored, he says. One time, when he and another employee raised a compliance issue and assigned it "red" status, meaning it could cause a loss for the bank, another worker forced them to downgrade it to "amber," signifying a lesser problem, he says. According to the lawsuit, DeDilectis started working for Deutsche Bank Securities in New York in late 2007 as director of equity operations and asset servicing. He relocated to Jacksonville, Fla., in 2010. He's asking for his job back, for back pay, and for his firing to be scrubbed from his record, as well as monetary damages for "emotional distress and loss of reputation." His lawyer, Larry Pearson at Thompson Wigdor in New York, said DeDilectis has moved to North Carolina and is working part-time as a consultant. He hasn't been able to find comparable work.